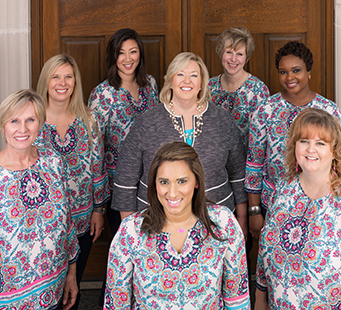 Dr. Donna L. Kiesel’s office has a reputation in Coppell as a quality-driven dental practice with excellent personalized service for patients of all ages. The moment you enter the door, you will receive a warm, friendly welcome. All patients are invited to help themselves to the coffee bar, and are offered blankets, neck pillows, water, and the use of a television and headphones in our treatment area. We also offer nitrous oxide, a form of sedation, for your comfort. Dr. Kiesel provides state-of-the-art dental care, including checkups, thorough cleanings, crowns, bridges, veneers, implant crowns and bridges, implant-retained dentures, tooth-colored fillings, root canals, Zoom! professional teeth whitening, snore and sleep apnea appliances, and mouthguards. For your convenience, our office has early-morning appointments at 7 a.m. as well as appointments during the lunch hour. We go the extra mile to make you and your family feel right at home here, and will do what we can to make every visit a wonderful experience. We love to see you smile!